When you want a lawyer who's not going to be all lawyery about it. Welcome to McBrayer. We hope you find our website helpful and informative, and we encourage you to find out more about our firm and our practices. McBrayer lawyers are more directly engaged with our clients and our clients' challenges. We are personable and more down-to-earth than our competitors. We are less dependent on the conventions of legal practice, and more able and willing to find innovative solutions to our clients' problems. We are not "just another law firm". The world is full of lawyers. What the world needs now is fewer lawyers and more innovators. We think the time is now to rid ourselves of the power suits and walk a mile in our clients' shoes, whether that be construction boots, red pumps, muck boots, loafers, tennis shoes, or scrub slip-ons. McBrayer attorneys are humans and not just billable hours. Our attorneys coach t-ball, chair community organizations, lend a helping hand to the less fortunate, and educate the children of tomorrow. 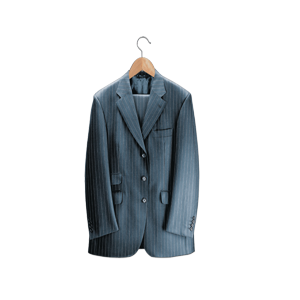 The firm is not known for its power suits, reference books or legal documents. We are proud to be considered Kentucky leaders, business colleagues, community service partners and friends. Our lawyers conduct regular seminars on hot topics throughout our diverse legal practice, to educate our clients and business relations on changes in the law that will impact them. These seminars are often conducted in our office. We are also available to do on-site seminars, not only for executive leaders, but for entire staffs, depending on the topic. In addition to our willingness to present on legal topics, our attorneys are readily available to comment or write legal articles on new case law, state regulations, federal rulings, or hot topics in the news. For media inquiries, please contact McBrayer's Director of Business Development, Elizabeth Bagby, via email at ebagby@mcbrayerfirm.com or by calling 859.231.8780. If you are a client, please get in touch with your usual McBrayer contact directly for the most timely response.